We are beginning a new website series called My Mother’s Scrapbook. Many of our mothers saved clippings and wrote diaries about daily life in Clyde River. These scrapbooks show us how a small rural community went about its daily life while being impacted by Island and world events. This next editorial step is a significant one for our website, as we have focused almost exclusively on community news since we began in November 2009. One could say, we are going to take our place in the world by offering insight into how our community was shaped by history. In doing so, we are celebrating the mothers of our community who captured elements of history that were significant to them. We will strive to better understand the world in which they raised their children, the events that shaped following generations and those that continue to shape our present and our future. This project will complement the History and Stories of Clyde River and references will be made to the book along the way. This is very much a community project. For those within and others with connections to Clyde River, we welcome each of you who has access to a mother’s or grandmother’s scrapbook to contribute. Many of these scrapbooks have already begun to disintegrate with time, so we want to ensure that these important historical documents are preserved for future generations to enjoy. 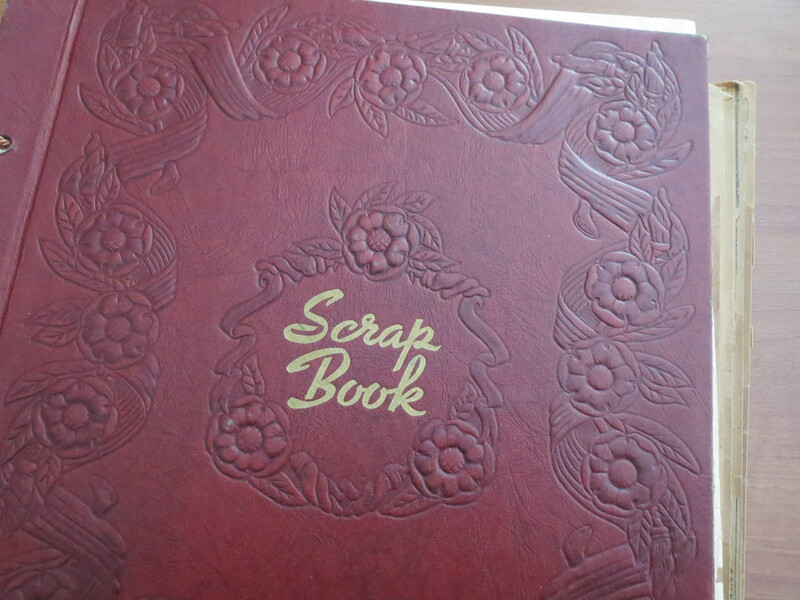 If you have a scrapbook or loose clippings that you are interested in preserving and sharing, please connect with us through our website here or call Vivian at 902-569-8665. It’s really interesting to read this blog Vivian. It’s all good community building. It makes Clyde River into a happening place. Could I interest you that three Clyde River residents are driving to Crapaud once a week to learn to play the ukulele with Dennis Wells? The South Shore Villa was able to get a LEAP this year and we purchased ukuleles for everyone. It’s going very well and they are making a sweet sound. It reminds me of the sweet voices of the very young. We hope that we could form a little group that performs from time to time. Let me know if you want more info or would do a little story on it in the blog. I do have some photos. Yes, Julia. I sent you an email with questions.